Meet friends for a shopping spree at Langham Place shopping mall, which is a three-minute walk from your student accommodation. Alternatively, trawl the stalls at Ladies’ Market — you’ll find everything from clothing and accessories to cosmetics, home furnishings and souvenirs. Grab a snack of fish balls and egg puffs from the street food stalls, then head to Fa Yuen Street, known locally as ‘Sneaker Street’ because it’s lined with shops selling sneakers. After dark, visit Temple Street Night Market to see street performers and fortune tellers, before sipping cocktails at The Sky Bar. 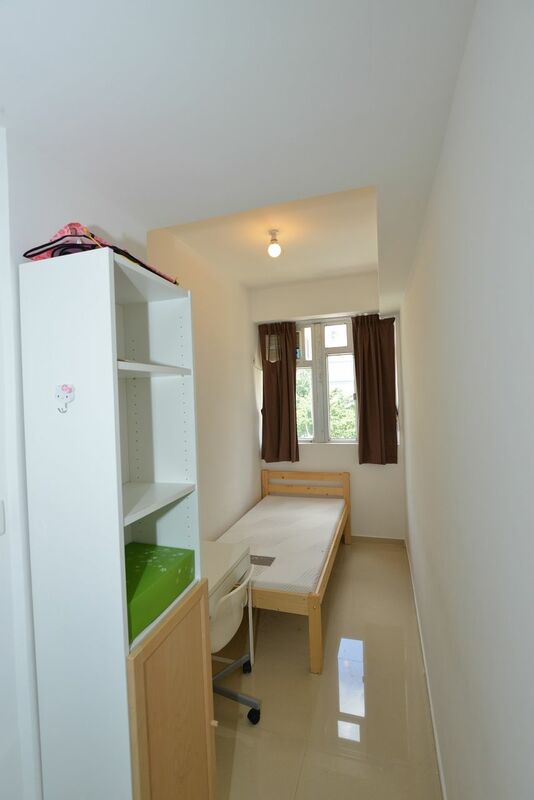 You’ll enjoy a quick and easy commute to The Hong Kong Polytechnic from your home at Yuk Shing Building. Jump on the subway and get to class in 24 minutes, or walk there in 40 minutes. Use public transport to reach City University of Hong Kong in 20 minutes, or walk to class in 35 minutes. You’ll be living three-minutes from Mongkok MTR station, which makes it easy to get to any of Hong Kong’s other universities. 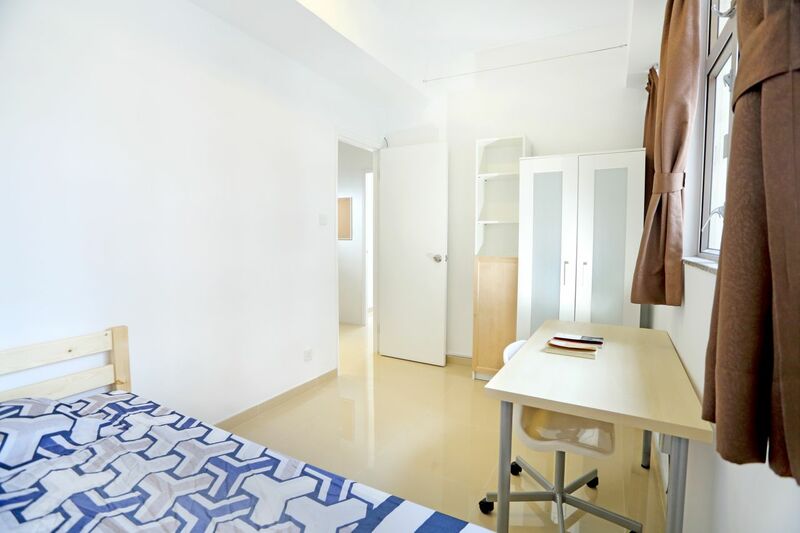 When you choose the female-only accommodation at Yuk Shing Building, you have the option to share a room with a friend, or enjoy more privacy when you have a room to yourself. After a busy day at class, take the elevator up to your five-to-six person furnished apartment, and head to the common area to see if your roommates are home. Log into the Wi-Fi to check your messages, then grab a drink from the refrigerator and take a few minutes to chat to your friends about your day. When you need to study, you’ll find a comfortable desk and chair in your room, and there are shelves to store your books and folders. With work out of the way, freshen up in the shared bathroom then watch your favourite show on TV before making dinner in the shared kitchen. All common areas are cleaned weekly, so you won’t have to waste time on domestic chores, and there’s a washing machine in every unit so you won’t run out of clean clothes. You’ll have complete peace of mind thanks to 24-hour security staff, CCTV and ID card entry. 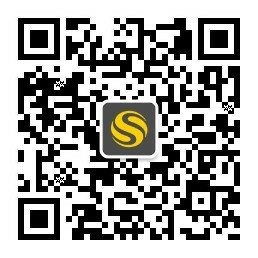 We couldn't find a room that matches your preferencesView all Shared Room in Yuk Shing Building @ Mongkok. 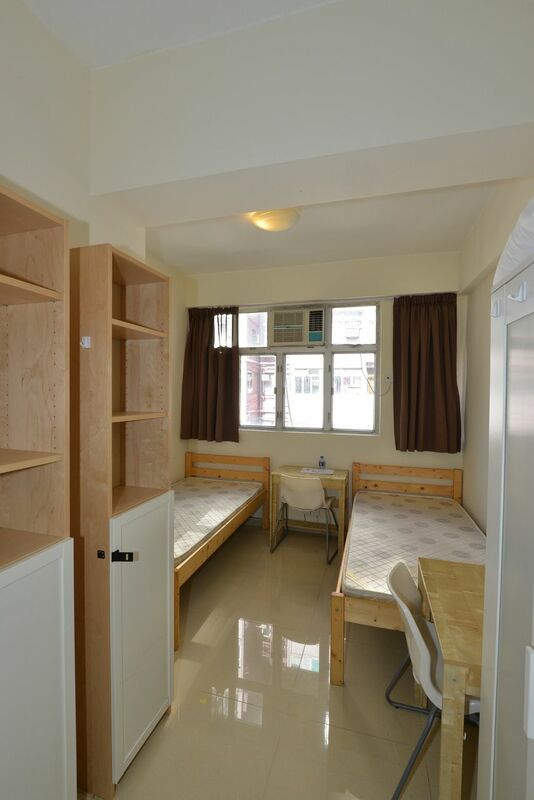 We couldn't find a room that matches your preferencesView all Private Room in Yuk Shing Building @ Mongkok.